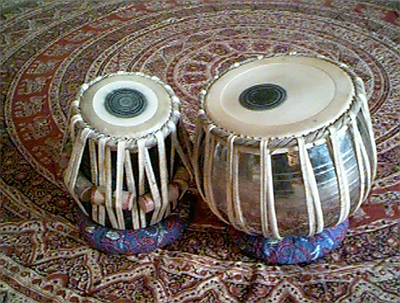 The origins of the tabla are not certain, but it superceded the pakhawaj to become the most popular drum in North Indian classical music and in popular and film music as well. 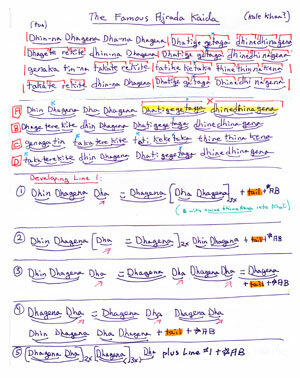 Its literature is extensive, fascinating, enlightening, and educational. 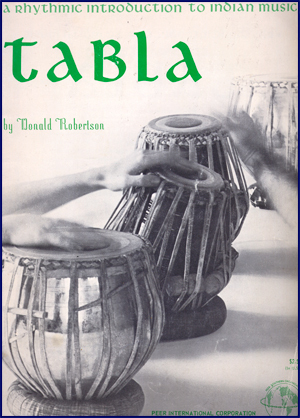 I wrote the first tabla instruction book published in the west back in 1968 for the Peer-Southern Music Corporation in New York City. 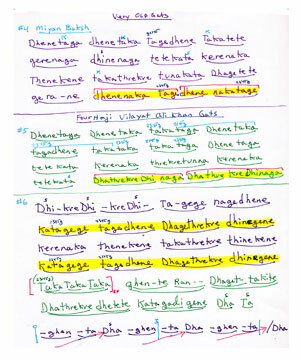 It was the companion book for Harihar Rao's sitar book. Since then, I have continued to study tabla and practice on a daily basis. My love for the composed tabla literature and for the rhythmic music produced by this drum and the musicians of genius that are a part of its legacy is boundless. It has been the ultimate teacher for me for the use of rhythm in music. My wish for the iUniversity is not to help players learn to play the instrument, as there are many other teachers for that, but to pass on to the young composers of the 21st century - uninterested in the complications and confusion inherited from 20th century classical music - this great rhythmic tradition. The language of the tabla and pakawaj is all that one needs to learn (and it is simple) in order to recite the compositions of genius that I have collected over the past 45 years. The Western world's first tabla instruction book, written by me in 1968.